MINNEAPOLIS, Mar-02-2017 — /EPR COMPUTER NEWS/ — Nor-Tech, the top provider of powerful, user-friendly computers, just announced a free simulation test on a high performance computer cluster for CAE, CFD, FEA software. This is an excellent way for organizations to see the benefits of moving from a workstation to a high performance computer cluster. The test is a free opportunity for organizations to try simulation software on the newest Nor-Tech high performance computer clusters with the newest high-demand software installed. Also, organizations can integrate their own software into the test computer cluster. 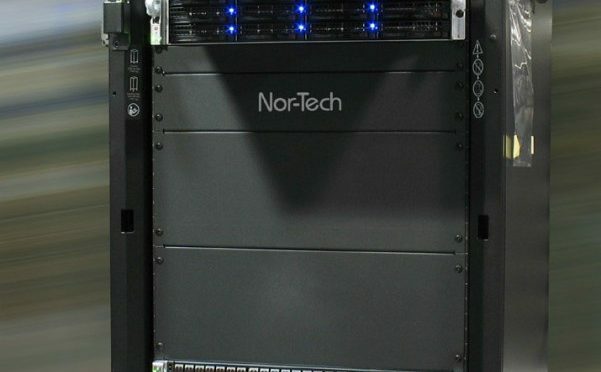 Nor-Tech guarantees that their high performance computer clusters are easy to set up and use; and clients will not have to wait on the phone for service and support. To test software on the high performance computer cluster, organizations should first contact Nor-Tech for a quick discussion. Then Nor-Tech will add the organization to the schedule. Nor-Tech will then configure the hardware and software for the organization and provide remote access to the test computer cluster. The organization will then run the software and ultimately see the results. Where there is sensitive information involved, Nor-Tech will typically sign a Non-Disclosure Agreement (NDA). Simulations run on the latest Intel Xeon CPU and NVIDIA GPUs. Nor-Tech, winner of many technology awards, is famous in the science, university, research, and business markets for powerful, easy to use high performance computer clusters and fast, no wait support. Major recent projects include Elon Musk’s Hyperloop Transportation System; the LIGO Gravitational Project at Cal State Fullerton; and the University of Wisconsin’s IceCube Neutrino Project at the South Pole. The busy person’s dream, the Android tablet/laptop AURUS Diamond Dual 10.1 needs every pledge of support available to bring the idea to the marketplace. In development from the ground up in partnership with manufacturers for the past twelve months, Allotropes Design is now ready to release the product globally. “We’ve offered quite a few benefits to the people who pledge to the project. And we will fulfill the Indiegogo pledges first, so supporting us on our crowdfunding page is the best route to take right now to get the AURUS introductory pricing.” added Letcher. While the AURUS is highly anticipated, if sufficient funding is not received it will hit the market at a considerably higher price, at a much later time, with less features and be released to geographic locations. Back Thru the Future (BTTF), the leading technology disposal company, has announced the availabilty of its on-site hard drive shredding service, designed for the demands of industries with stringent data privacy regulations, including healthcare and finance. A state-of-the-art custom shred vehicle, dubbed The Predator, allows BTTF to extend its Safe Harbor Express directly to its client locations throughout the eastern U.S. The launch of the on-site service affirms BTTF’s commitment to the highest standards of regulatory compliance, environmental sustainability and auditability. Since current New Jersey regulations prohibit mobile hard drive shredding, BTTF will continue its in-plant shredding operations for that state, while enhancing services to clients in all other states. “We have submitted a request to the New Jersey DEP to allow us to begin on-site shredding within the state,” Haga said. “We’re cautiously optimistic that they will approve this service, which is rapidly becoming the industry standard throughout the rest of our service area.” Upon approval, Haga said, BTTF is in a position to immediately provide on-site hard drive shredding within the State of New Jersey. Business 2012 is a new event taking place at London’s O2 on the 18th, 19th and 20th March. Confirmed headline speakers include Sir Richard Branson and Lord Alan Sugar, two of the UK’s most respected and well-known entrepreneurs, and the whole event is designed to provide business leaders with the opportunity to learn how to grow and develop their organisation. In addition on stand B34 and B44 Balreed will be showing live demonstrations of the latest print management, scanning and print workflow systems as well as explaining how Balreed’s Managed Print Services can help businesses control the cost of printing. “How a business produces and manages documents should be a crucial consideration for any organisation, especially in the current climate, but surprisingly it is so often over-looked by business leaders. Through our exclusive workshops and seminars, visitors to Business 2012 can learn the many commercial benefits of a print strategy, assess how well they are currently performing in this area and what good looks like, and follow simple steps to optimise the infrastructure they have already. We have seen a massive growth in interest in our Managed Print Services and Remote Managed Print Services so we will also host workshops dedicated to these in which we will explain what an MPS is and how an organisation can use an MPS strategy to gain a real competitive advantage.” Balreed’s workshops and seminars have been tailored to suit any size or type of business and a full schedule of what takes place each day can be found on the Business 2012 site: http://www.business2012.com. The recent publication of the security breach suffered by the Japanese Defence Contractor, Mitsubishi Heavy Industries is just the latest in a long series of similar breaches around the world. Once again, the discovery of multiple instances of the installation of malware or viruses on servers and desktops is symptomatic of what could be a very sophisticated attack – frequently referred to as Advanced Persistent Threat (APT) type attack. It is reported that the breach started with what is known as spear phishing attacks – when attackers use very targeted emails; specially crafted/customised to targeted individuals, to maximise the chances of them being opened and any links within them being clicked on and followed. Martin Finch, Managing Director of commissum, a specialist Information Security Consultancy, said that “the organisation targeted here is a typical victim of such an attack by what could be industrial espionage or state sponsored hacking to access either national security information, or intellectual property. Previous victims have for example included, Lockheed Martin, the world’s largest aerospace company”. Chris Williams, senior consultant at Information Security company, commissum said that “the usual modus operandi is for attackers to establish a foothold through initial breaches, and then use this to both escalate the level of the breach and establish further access points. This frequently continues over what is often a very protracted time-scale. The victim will, if one or more breaches are discovered, be uncertain as to how many other breaches have been established and where these are”. China, Russia and Korea have been mentioned as possible sources of this type of attack in the past; China in particular in this case has vigorously and indignantly denied any involvement. That is one of the problems with a sophisticated attack of this type; it can be almost impossible to establish for certain where the attack originated. It is clear though that China is just one of the countries suspected of past involvement in such attacks by US and Western European government agencies. In addition, as is often the case, the victim is downplaying the impact and the level of penetration achieved. It is reported that the Japanese government were not immediately informed of the breach, as is required in the Defence sector; allegedly it was discovered in August but was exposed by the press this week. It is unlikely that the public will ever know for sure if the breach involved a serious leak of information. There’s exciting news for those who love a home filled with music, as the Sonos Play 3 wireless music system goes on sale at dabs.com. Three by name and triple by nature, the device has a trio of powerful digital amplifiers, serving speakers engineered to diffuse crystal clear sound throughout any room in your living space. Sonos is all about connecting sound in your home; and the Play 3 fully embodies this ethos, with the ability to link wirelessly and play music stored on your PC, Mac, iPod or phone, among other devices – up to 16 at once. Users can also access music from a wide range of services such as Last.fm, Pandora and Spotify. The Sonos Play 3 is available from technology retailer dabs.com in two colours – bright white and sleek black – and is easy to position in your home thanks to its minimalist design. Its technical credentials include a bass radiator for low notes, two mid-range drivers and a high-frequency tweeter to complete the sound. Its class D amplifiers are energy efficient and the whole package is desirably lightweight, with rubber feet to avoid marking surfaces. The new HP TouchPad Tablet, now on sale at dabs.com, aims to revolutionise computing practices by combining a beautifully light design with a focus on effective multitasking. Weighing only 740g, the HP TouchPad is easily portable yet still boasts a large screen (9.7 inch diagonal), helping users to carry out several tasks at once. Unlike many other tablet devices the HP TouchPad has multi-tasking at its core. The device’s operating system, HP webOS, allows it to quickly and simply move between messages, calendars, photograph collections and more by controlling and swiping “cards”, stacking similar tasks together according to the user’s preference. The HP TouchPad Tablet also offers an extensive range of applications from a catalogue of thousands – including social networking facilities such as Facebook and popular games such as Angry Birds – along with wireless printing; a strong download capability for viewing movies and TV shows; and music courtesy of Beats Audio. Dabs.com Computing product manager, Michelle Wood said: “The new HP TouchPad Tablet has a stunning backlit screen and IPS wide viewing-angle technology – but it doesn’t just look good, it also has an extremely impressive level of functionality, with an intuitive webOS which aims to reflect human nature in carrying out multiple simultaneous activities”. The tablet has a fast processor and is geared towards communication and entertainment, with an integrated webcam and microphone for video calling and similar multimedia options. Its rechargeable battery allows up to eight hours of web browsing and it can be charged either using the sleek HP Touchstone Charging Dock; or in its case, using an AC charger. 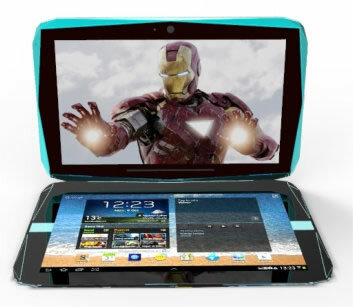 The HP TouchPad Case itself is innovative, acting both to protect the device and as a stand for display uses. Processor and graphics chip become one with the latest release of the AMD APU – capable of DirectX 11 graphics and quad-core processing power, with two processors available now at dabs.com. With on-board graphics chips in the past many PC owners and builders have had to buy additional Graphics cards in order to be able to handle the latest PC games and HD videos. This all changes with the introduction of AMD’s revolutionary A8 APU (Accelerated Processing Unit), the combination of a high-performance CPU with bespoke graphics capabilities to rival the latest standalone graphics cards. AMD, well known for their Processors, acquired graphics specialist ATi Technologies in 2006 and many computing journalists speculated on the day that AMD would incorporate ATi’s Radeon graphics chipsets in to an all-encompassing and economical chip. The APU is the product of this union and UK computing and consumer electronics specialist dabs.com now has two models – the AMD A8-3850 and the AMD A6-3650 – available at great prices. Duncan at dabs.com said: “With up to 3x more graphics capabilities compared to competing systems the AMD APU achieves incredible performance in all situations where a powerhouse PC is required. As well as the visual features, the A8 and A6 APU chips also offer many other features that are becoming essential in the home and the home office, such as multi-monitor support and the Advanced 32nm CPU that is both powerful and low on power-usage. The Socket FM1 processor is now available at dabs.com priced at £109.99 for the 2.9GHz A8-3850 and £89.98 for the 2.6 GHz A6-3650. commissum explain all the issues of cloud computing, and explain all about the benefits it can bring small companies. When we mention cloud computing to our SME clients as a possible solution for the cost effective management of their services, we often get asked “but what are the risk of trusting our information to someone else?” At commissum we believe that many of the issues relating to cloud computing are not new and should be considered for all relationships with service providers, although there are a few specific considerations to be made. Using cloud computing, organisations can contract service providers to provide infrastructure, platforms and, presently more commonly software. These services enable convenient, on-demand network access to a shared pool of configurable resources such as networks, servers, storage, applications and other services, provided and released with minimal management effort or interaction of the service provider. The advantages of scalability, reduced lower overhead costs and flexibility are clear and allow organisations to focus on core competencies instead of devoting resources on IT operations. Most companies have policies and processes in place to deal with commercial relationships with IT service providers. Although these policies and processes will equally work well with cloud services many still do not sufficiently cover the risk related to the security of information. Applications which are to be provided by a cloud service require the same risk assessment considerations as those provided by a traditional service provider. · suffered from breaches in integrity and confidentiality of information. With 20 years of experience, commissum is adept at offering practical advice and recommending cost-effective solutions, to deliver a joined-up, coherent approach to protecting an organisation’s information assets. Leading IT disposal company CDL has triumphed for the second year in a row at the Green IT Awards, winning Recycling Project Of The Year in recognition of a highly successful strategy devised for The Co-operative Travel. CDL helped to refresh 1,900 systems for the travel industry giant by devising an effective scheme to collect old computer equipment and deliver new hardware, by visiting multiple sites in close proximity on a daily rota. CDL’s security-cleared drivers and vehicular satellite tracking ensured that data security was not compromised. The ingenious project not only produced fantastic results for The Co-operative Travel, but also succeeded in attaining CDL’s environmental objectives. The delivery and collection schedule created by CDL reduced the projected timescale of the overhaul by six weeks and cut anticipated fuel use by an enormous 500 per cent (approximately), slashing both the expected cost and carbon dioxide emissions. CDL Director Jean-Pierre Naylor said: “We are thrilled to be honoured by the Green IT Awards for a second year and proud of our achievements with regard to this project. Demonstrating the kind of innovative thinking that has led the company to awards success, CDL also used the opportunity to experiment with cutting motorway speeds by 5 per cent, which resulted in a fuel saving of 12 per cent. With this year’s must have gadget being the Tablet PC many people will be unsure of which model is right for them with so many choices available on the market. UK Computing specialists dabs.com have launched a dedicated Tablet PC store to help consumers find the right Tablet PC for them. With Tablet PCs now available from computing brands such as Asus, HP, , Acer and many others, the ability to pick out the right tablet PC has proven difficult for many consumers which is what dabs.com aims to clear up with the introduction of the Dabs Tablet Store. Visitors can easily see the wide range of Tablets available and get all important info on which model, operating system and features they want to look for when they are buying a tablet PC. Whether shoppers are looking for tablets running Windows 7 or Android’s new 3.0‘Honeycomb’ OS there’s a tablet for everyone in the store. have been specifically designed for tablet PCs and their touch screen interface in mind visitors can easily find a Tablet PC that suits their needs from the new Acer Iconia to the popular Asus Transformer. Product Manager at dabs.com, Michelle Wood said “With so many impressive tablet PCs available now and their practicality in the home many people are looking for the right model for their needs, which is why we have launched the Dabs Tablet Store. “Being able to choose from all of the brands we have at dabs.com at a glance helps customers get to the tablet PC they want, quickly and with many popular models now on sale it is easier than ever to find the best tablet PC and buy from us at dabs.com”. Janicom.com is an online store specializing in barebone PCs – an online store where you can choose from plenty of custom built PC systems and components, picking the ones that will match your requirements and the sum of money you have at your disposal best. Being a considerably cheaper alternative to readymade systems, barebone PCs give you the opportunity to assemble a quality computer for yourself without overpaying for the brand, under which this or that system is assembled. The Catalog section at Janicom.com is split into three main groups, namely: Barebones, Desktop Computer Systems and Components. Barebone computers prevail here even though the choice of pre-built desktop computer systems is rather wide as well. The good thing is that Janicom.com doesn’t charge too much for the assembled systems, so if you are not sure you can choose all the right components for your custom built PC, you can always resort to readymade solutions. Alternatively, if you want to build a computer system yourself, you can always visit the Barebones section where you are offered to choose a barebone computer matching your preferences best – and to equip is with components of your choice. Everything you have to do is specify the chosen components and the techies in Janicom.com will assemble your PC, back it up with a 1-year full warranty and ship it to you wherever you are. The convenient navigation system used at Janicom.com allows you to sort the offered products by price or by the name of the manufacturer. By registering at the site, you get the opportunity to tag products as well as to add them into your wish list. The barebone PCs as well as pre-built computer systems offered by Janicom.com are grouped into subcategories depending on the manufacturer of the components (Intel or AMD) as well as depending on the type of processor/RAM. Separate components are grouped by type and, often, manufacturer. The grouping makes the process of navigating the site considerably easier for the customers. Janicom.com also offers you a lot of useful information delivered in articles in Company section. Those articles are very likely to help you in the process of choosing components for your own custom built PC as they contain valuable advice on how to build a custom system depending on your needs, should it be office work, Internet surfing or gaming. Besides, the Company section contains the contact information that you can use to get through to the company’s support service. The special offers that Janicom.com makes to its customers from time to time are listed in the Promotions section as well as right on the site’s index page. This online store also offers its customers to shop for its gift certificates of practically any amount between $50 and $1,500. A gift certificate can also include particular free products that you can specify when purchasing it. A gift certificate can be sent to the recipient by email or by regular postal service. Made4Biz Security Inc . has announced today a trade-in plan for RSA’s SecureID. Each SecureID customer can switch their SecureID devices to IDentiWall while using their SecureID’s past investments as credit against the IDentiWall license fee. Such trade-in is guaranteed to be financially compelling and technically superior. Better, newest security technology that protects its users against all latest attacks even if their computer is contaminated with malwares or even if their ID is exposed. Wider security coverage, which includes not only two-factor authentication, but also combines transaction verification, anti-phishing, anti-farming, as well as breach attempt notification. E-Banking, m-Banking, e-Health, e-Government web application protection with special ‘application agnostic’ mode by which, not even one line of code needs to be changed. Polite implementation including co-existence with SecureID for the transition period and built-in implementation risk elimination measures. No physical devices to be distributed and yet out-of-the-box support for such token devices and smart-cards does exist. Lowest TCO. This trade-in plan was designed to ensure cost savings for the whole duration of the IDentiWall usage. Cloud or on-site implementation options are supported.